Few words evoke as much spontaneous glee as ‘my new puppy’. But, it’s also true that some might react with mild dread at the mere thought of the work involved in adopting a new pup. Fortunately, Dr. Sarah is ready to share the fruits of her personal experience and veterinary wisdom, all to help viewers ensure a smooth transition into the wonderful world of puppydom. In the latest episode of Pet Talk, our puppy-loving doctor is joined by a very special co-host – Sarge. While technically not a sergeant (or even a human), Sarge is qualified to assist in this department, as he is a full-time puppy. With Sarge’s help, Dr. Sarah will reveal how, with just a little bit of prep work, you and your newest family member will be getting down to the business of bonding and creating adorable memories. From tips on what you’ll need to buy before bringing your puppy home, to how to safely puppy-proof your home, to ideas for communicating effectively with your pup, to dietary considerations and so much more, Sarah and Sarge will demonstrate what you need to know in order to put your best paw forward. From all of us here at Life’s Abundance, we send our heartfelt wishes for a long, healthy and happy relationship with your new canine companion. To kick off the New Year and the launch of our Large Breed Puppy Food, we’re celebrating everything puppy. 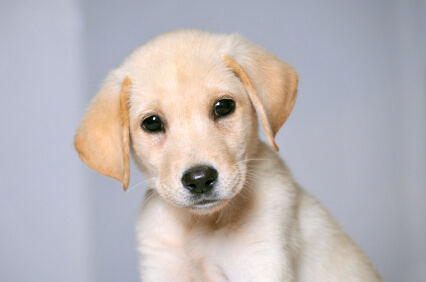 If you’re a new pet parent or are simply thinking about adopting a new puppy, we offer the following collection of frequently asked questions about puppies, along with Dr. Jane’s insightful responses. My puppy often has the hiccups. Is this something I should be concerned about? It gives us immense pleasure to bring you more good news from the Dr. Jane HealthyPetNet Foundation. This first-of-2013 post sings the praises of one of our 2012 recipients, the Ft. Lauderdale-based Paws South Florida Rescue. This dedicated animal-welfare group has made significant inroads towards ending the cycle of feline overpopulation in their local South Florida area. Devoted to working with feral cat communities, PSFR is composed of a tight-knit group of volunteers who care for felines who live in the shadows. Their efforts go towards the feeding and maintainence of these wild cat groups. PSFR is committed to seeing that all of these forgotten felines are up-to-date on their vaccinations, as well as tested and treated for illness or injury.